The Western Reserve Historical Society is the leading repository in Ohio of materials for ethnic study. Since 1971, WRHS has made a concerted effort to collect material relating to the many nationality groups that settled in the Cleveland area. 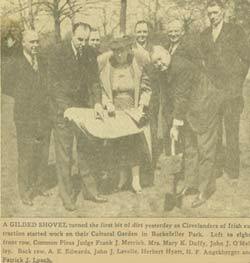 Intensive efforts to collect material relating specifically to the history of the Irish in Cleveland were prompted by the formation of the Irish American Archives Society in 1994. 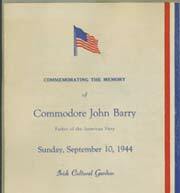 For a list of manuscript and photograph collections that have Irish or Irish-American content and have been catalogued to date, click here. Highlights of the Irish American collection include diaries kept by Irish-American immigrants to Cleveland in the 1830s (Isaac Reid), 1840s (Daniel T. Shehan), and 1860s (William Manning); a trove of family letters from the 1910s donated by the Thomas and Anna Feighan Gallagher family; materials donated by Irish step dancing instructors Theresa Burke, Catherine Leneghan, and Kevin Shanahan; records for a Fenian Society chapter active in Tiffin, Ohio, in the 1860s and for the Cleveland Irish Musicians Club from 1976-2000; and speeches, programs books, and correspondence relating to the Irish Cultural Garden donated by Judge John V. Corrigan. In addition, other collections preserved in the WRHS Library contain items of Irish American interest. 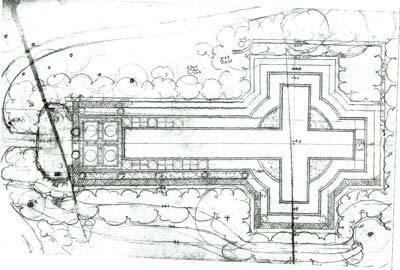 For instance, the meetings and scrapbooks of the Cultural Garden League contain many references to the creation of the Irish Garden, and the papers of landscape architect Donald Gray include presentation sketches, blueprints, and contractor bid sheets for the Irish Garden. To search for Irish connections among the holdings of the WRHS Library, click here for a link to the online catalog. Of special interest to Cleveland-area family historians are funeral records donated to WRHS by the McGorray Brothers Funeral Home (now the McGorray-Hanna Funeral Homes) and by Chambers Funeral Home. The McGorray records have been indexed by volunteers, and the index is available online on the WRHS website. The indexing of the Chambers records is in process. The WRHS Library provides additional resources for those who interested in researching family history. WRHS maintains a library subscription to commercial genealogical research services such as www.ancestry.com. WRHS also maintains detailed "Guides To Irish Genealogical Research" that provide an excellent starting point for anyone interested in Irish family history research. Of particular interest are the volumes of transcriptions of census and baptismal records for Achill and Burrishoole Parishes that have been published by William and Josephine Masterson. The WRHS Genealogical Committee offers lectures and workshops for those interested in learning more about family history research. The Irish American Archives Society supports the development of an archival collection at the Western Reserve Historical Society in order to document the Irish American experience in northeast Ohio. To find our how to donate archival materials to the WRHS, contact the WRHS curator of manuscripts, Margaret Burzynski-Bays, at 216-721-5722 ext. 275 or at mbbays@wrhs.org.